Engineering design and construction of a multipurpose sports and assembly hall with stage/general learning area. Spantech’s contract for this impressive facility included an enclosed sports and assembly hall, a general learning area (GLA) which opens up to the main hall via a large roller shutter to create a stage, covered entrances and attendant works. The airy spaciousness and ample height of the main hall allows for a range of sports. The design includes bold lines and the use of false external columns set at a slope up to the eave lines of the main roof. 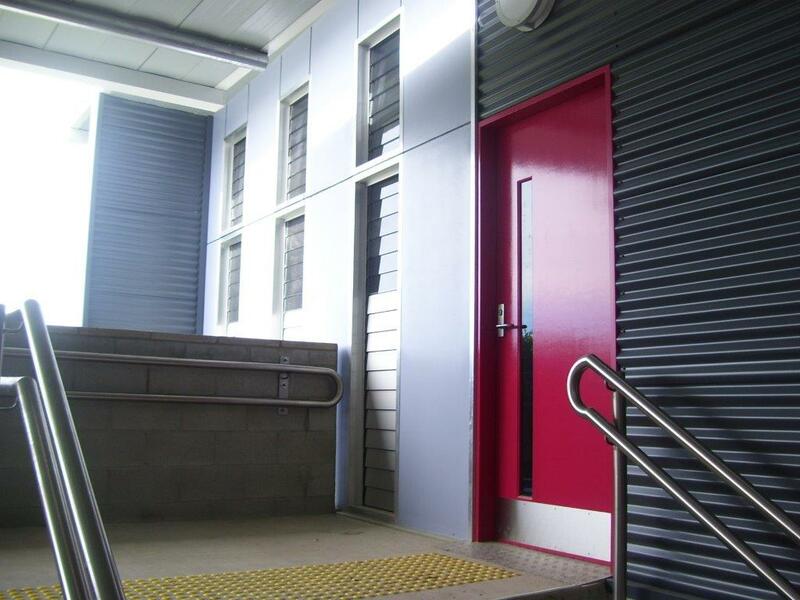 Wall materials include block, Colorbond metal and express panel cladding. 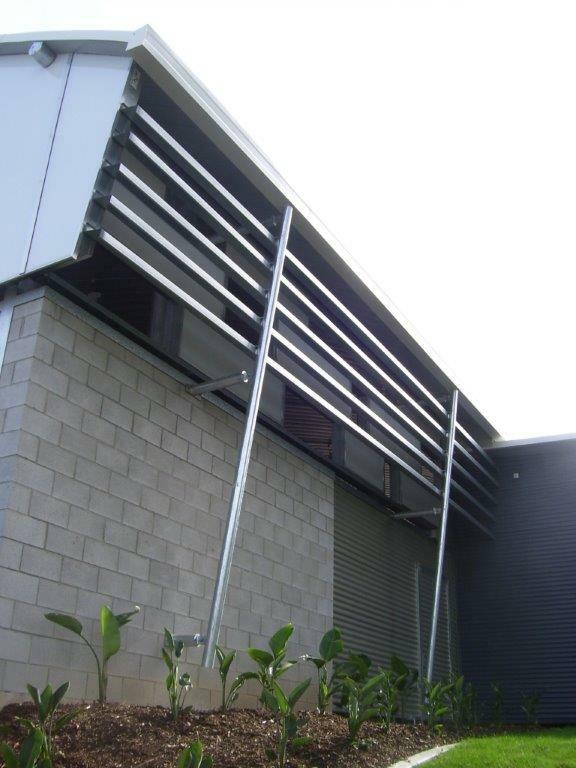 These are supplemented with opaque polycarbonate panelling in the gable ends and in a random check pattern on the upper areas of the side walls. The main covered area is 20 metres wide and 34 metres long and rises to 8.2 metres at the centre. The attached GLA/stage is approximately 80 sq/m.